We invite you to join the next PyCon Italia which will take place in Florence from April 6th - 9th. PyCon Italy is the national conference where professionals, researchers, and enthusiasts of the most beautiful programming language gather together. This year’s edition will bring you a multi-thematic event featuring the most important subcommunities of the Python universe. 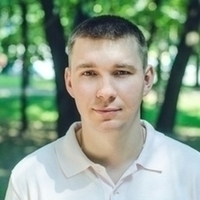 During the event, there will be several speakers, including Andrii Soldatenko, a Toptal Senior Python Backend Developer. Andrii will give a talk on April 8th from 9:00 AM entitled “Serverless Building applications with Python”. The event will take place at the Grand Hotel Mediterraneo. For more information on the event, please visit the event website.